We are looking forward to a fall trip to Disney World and everyday Hailey asks me, “Do we have 2 more days?” It’s hard to explain how long a couple more months will be, so we made a count down today. 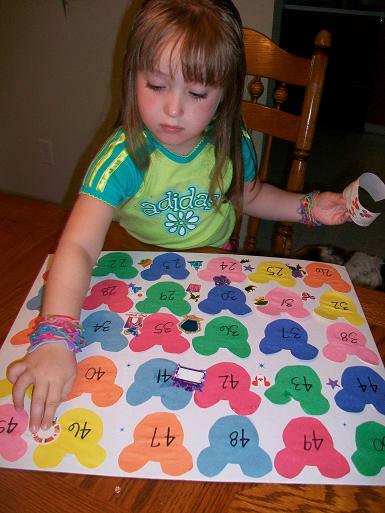 I started the countdown at 50- I made 50 Mickey Mouse shaped heads and numbered them. 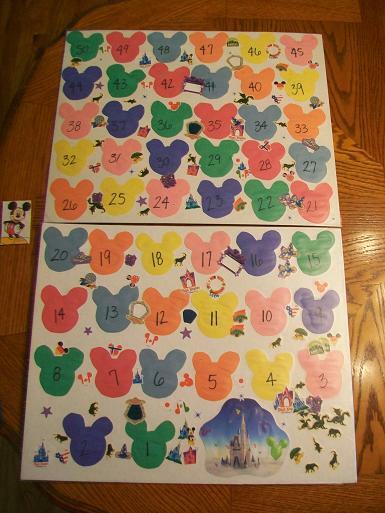 Hailey and I glued them onto cardboard and then she added some Disney stickers to the countdown. I put contact paper over the countdown (we’ll reuse it every time we go). Mickey Mouse (over on the left) will be moved each day. At the end of the countdown is the castle since that’s where we’ll be!